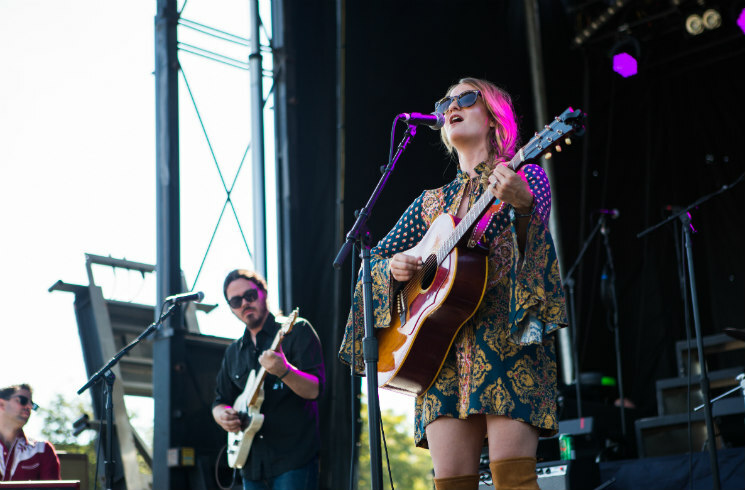 One of the buzziest artists on the Americana scene, Margo Price debuted last year with her excellent Midwest Farmer's Daughter to great acclaim. It's led to a ton of attention and sellout concerts across Europe and North America. But it's tough for anyone to come out of the gate with enough material and a strong enough stage show to meet those kinds of expectations. Opening up the proceedings on the West Stage Fort York's downtown Toronto field, Price and her shaggy band emerged looking a bit stunned — a small early-afternoon-on-a-workday crowd and a view of a construction site might have had something to do with it. But soon enough, the cobwebs were gone and her impressive band laid down tight country rails for her fabulous voice to ride. The setlist relied fairly heavily on covers — understandable since Price is a newcomer — but they were well chosen and played. Classic tunes by Mickey Newbury, Loretta Lynn and Billy Joe Shaver signalled an artist who wants to be associated with the traditionalists, and is holding firm to the cord tethering her to the past. For their part, this "Urban Roots" crowd was all over it. And with her best original compositions — "Hands of Time," "This Town Gets Around" — Price reminded us that she's just getting started. Might just be the real thing here.